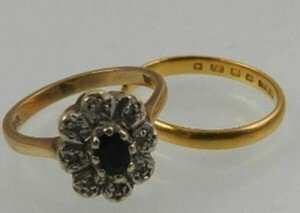 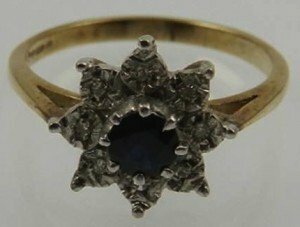 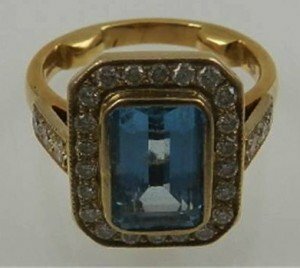 A 22 carat yellow gold wedding band, together with a 9 carat yellow gold, sapphire, and diamond accented cluster ring. 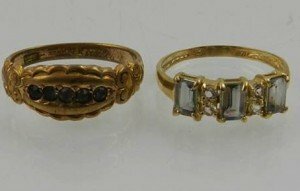 A 9 carat yellow gold, mystic topaz and white topaz ring, together with a 9 carat yellow gold and white stone ring. 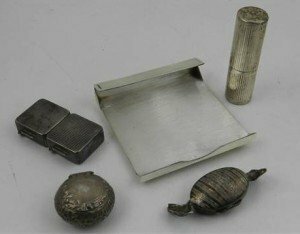 An Asprey’s of London novelty post-it note holder, together with a Tiffany & Co. novelty handbag-sized perfume dispenser, and three white metal pill boxes. 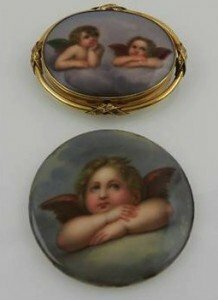 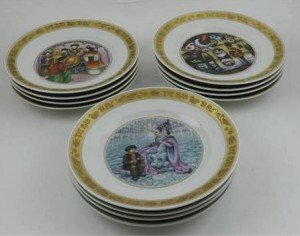 A set of twelve Royal Copenhagen plates, decorated with fairy tales by Hans Christian Andersen to centre within gilt edge. 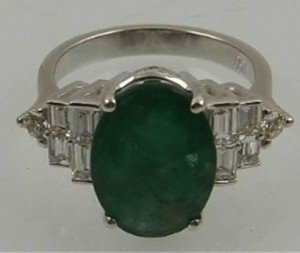 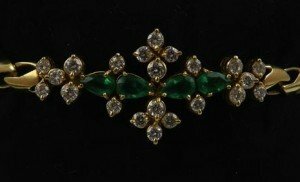 An 18 carat white gold, diamond, and emerald ring, flanked by eight graduated baguette cut diamonds and two round cut diamonds. 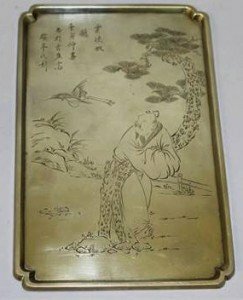 An early 20th century Chinese white metal rectangular tray, with indented corners, the interior engraved with calligraphy and a scene of a sage in a garden setting, the reverse with an impressed character mark. 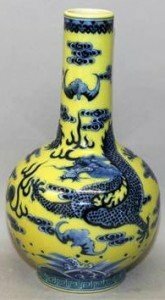 A Chinese yellow ground blue and white porcelain bottle vase, decorated with dragons and bats amidst waves and cloud scrolls, the base with a Qianlong seal mark. 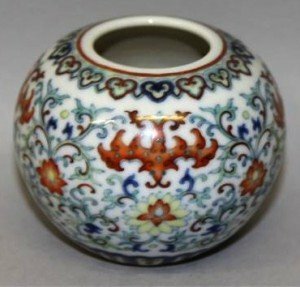 A small Chinese Doucal porcelain water pot, decorated with bats above scrolling lotus, the base with a Qianlong seal mark. 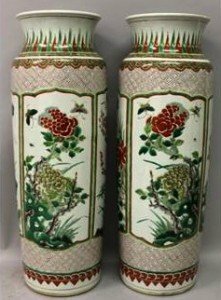 A large pair of Famille verte porcelain sleeve vases, each painted with panels of seasonal foliage reserved on a trellis ground, each base unglazed. 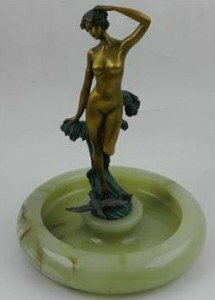 A Chinese Famille rose porcelain vase, the sides of the square section body decorated with a figural garden scene, the base with a Daoguang seal mark. 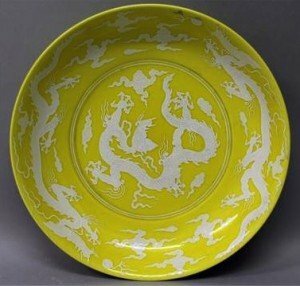 An unusual yellow ground Chinese porcelain dish, decorated in slightly raised white slip relief with dragons pursuing flaming pearls amidst cloud and flame scrolls, the base with a six-character Chenghua mark. 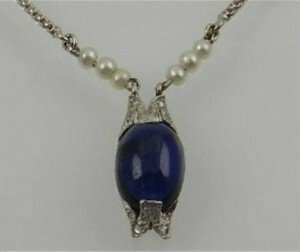 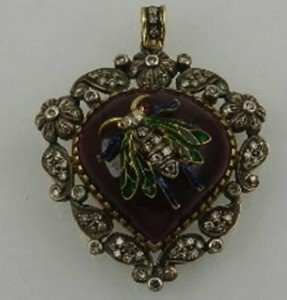 A platinum, sapphire, and pearl drop pendant necklace, the cabouchon oval cut sapphire within a mount set with diamond accents, the chain set with six small pearls. 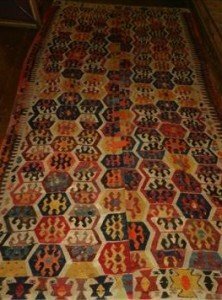 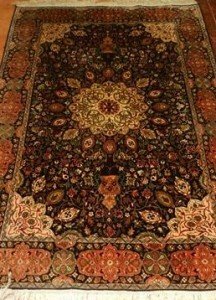 An early 20th century Turkish kelim rug, having multi medallions decorated with geometric symbols, fringed.